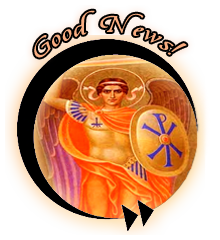 Archangel Gabriel - Forwards to Good News. Archangel Gabriel - from Here FOWARD! Archangel Gabriel, guide me to my life’s purpose! Archangel Gabriel is the messenger who whispers in your ear of coming events, changes, and opportunities for new experiences. He is the bearer of GOOD NEWS and is the angel that announced the forthcoming birth of Jesus to Mary also in Islam Gabriel (Jibril) awakened Mohammed (the Prophet of God) and dictated the Koran to him. Gabriel will assist childless parents towards child conception or adoption as well as healing anyone whose life purpose involves the arts or communication. Call on Gabriel to open doors to help you express your talent in a big way. Ask Gabriel to restore any blocked areas in your life and fill you with the remembrance of your divine purpose and destiny. One of this magnificent Archangel's tasks is the restoring of life and light into stale areas of your life such as relationships, businesses, households, etc. Call on him and you will receive creative ideas and opportunities to help you get moving again. 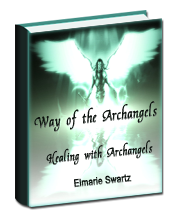 I work with the seven Archangels who may be the best known of all the Archangels, perhaps because their presence has been mentioned in many historical and biblical accounts. Learning about them and how to become proficient in calling on them at any time are tools that are readily available. Gabriel will assist in improving bronchitis and asthma, he will balance your hormones and aids fertility, he eases constipation and unlocks deadlocked processes. Physical Associations Abdomen, lower back, kidneys, lower intestines and governs the adrenal system. Spiritual Gifts Purification, guidance in creating your spiritual life, revelation of your life plan and purpose, dissolution of discouragement, joy happiness and fulfilment. World Service Help in organizing peace keeping operations, distribution of food and medical assistance, relief for victims of natural disasters. Represents Overcoming doubt and fear.